A life-long love story about the pursuit of honesty over all happiness. 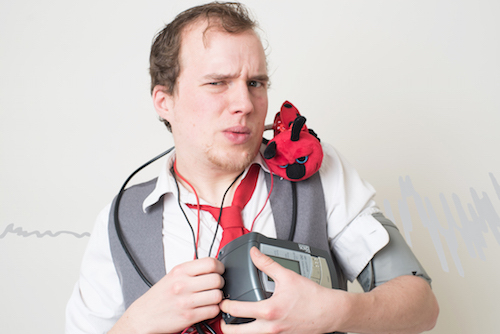 Andrew Wade builds a working lie detector onstage and straps himself in. Using stories, music, apps, and tap shoes, Wade looks at old relationships and insecurities as he tries to learn how to honestly let go. Andrew Wade is an award-winning actor and playwright from Richmond, BC. He is also a graduate from the University of Victoria (BFA: Acting, BA: Writing) and the National Voice Intensive, and was selected as one of Richmond’s ’30 under 30′ in 2013. Venue: Tarragon Theatre Extraspace. 30 Bridgman Ave.